One thing I really wanted to do more of this year was product reviews. I know myself that when I’m buying new makeup or a beauty product I automatically start reading bloggers reviews on that product to try get an idea if its worth spending my money on! So I was delighted to be sent this tan from Bellamianta Luxury Tanning to try out. I’ll start off by saying I’m extremely picky when it comes to tan! I have tried out sooo many tans that I just hate using and end up throwing straight in the bin. Luckily, Bellamianta has now been added to the very short list of tans that I love! With all these claims I was wondering if Bellamianta tan would live up to my high standards! As it is bursting with natural ingredients, has no parabens, harsh chemicals or alcohol it can be used on your face as well as your body which I think is great. I can’t understand when people don’t put tan on their face when they’re putting on tan, like honestly when is it OK to have your face a completely different colour to your body?! 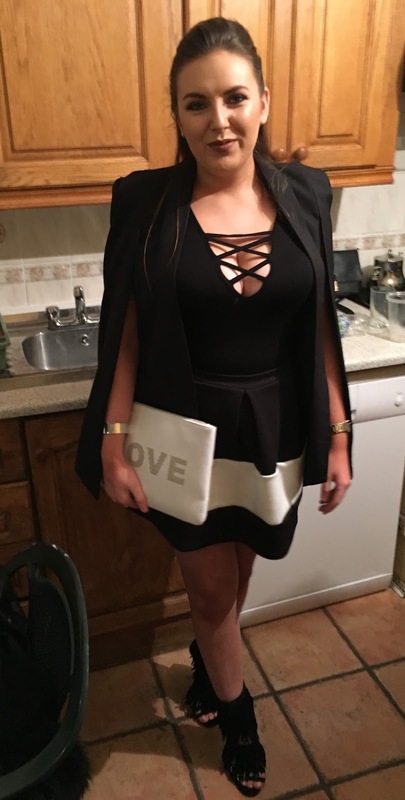 Once applied this tan really did give a gorgeous bronzed glow that is so natural and didn’t need to be rinsed off before heading out the door. However the day I applied this I had a white tee on and I did notice that evening when I took it off there was some transfer onto the inside of my top. I don’t think that is a major disaster to be honest because I think you will always get a certain amount of wear-off with a tanning product, and I think I only noticed because it was a white top. I was intrigued when I seen that Bellamianta has ‘odour neutralise technology’ and the first thing I imagined was it smelling like Oust or Febreez! I don’t know why? If this meant it was supposed to have no smell, it’s a lie! I think we all know the fake tan smell, a lot of people hate it but I actually love the smell of tan, I’m weird, I know… Anyway, this did not smell like fake tan, I honestly don’t know what it smelled like, maybe all the natural ingredients? But it wasn’t a bad smell I actually kinda liked it, I couldn’t stop smelling my arm! I wore this tan on my week off so I could test it properly without having to wash my hands and arms every two minutes like I do in work. I was so glad I decided to give this tan a full week of wear as it still looked so good at the end of the week even after me showering every day! 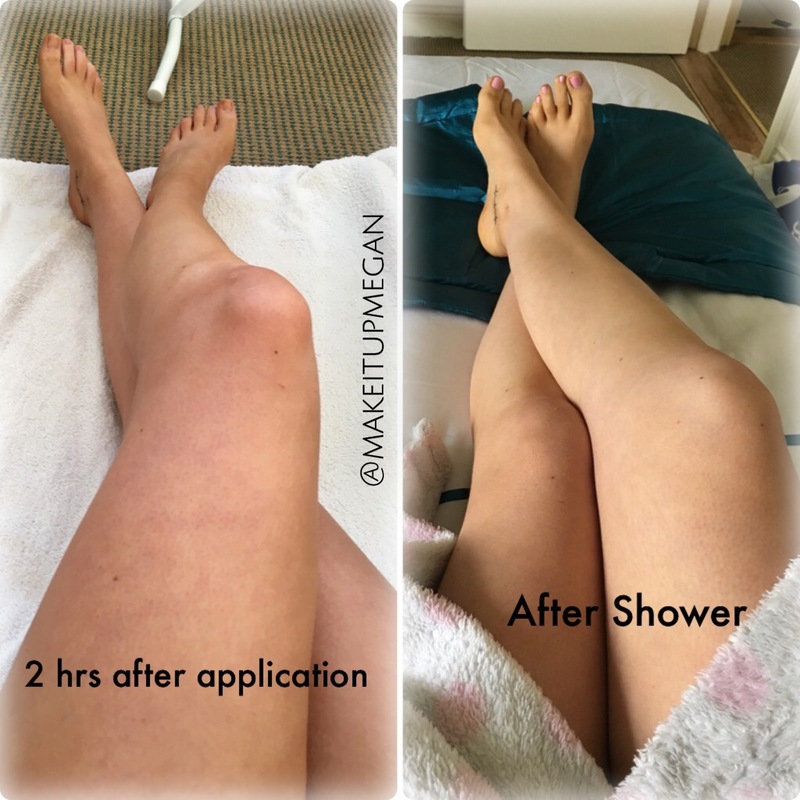 I reapplied this before heading out last Saturday night (4 days after first application) to my legs, arms, face, neck and decolletage and I was impressed with how well the colour blended into the first application. The first application didn’t go patchy at all and still held its glow so that even after applying a second layer only to certain areas I didn’t have a big tell-tale line between the two. 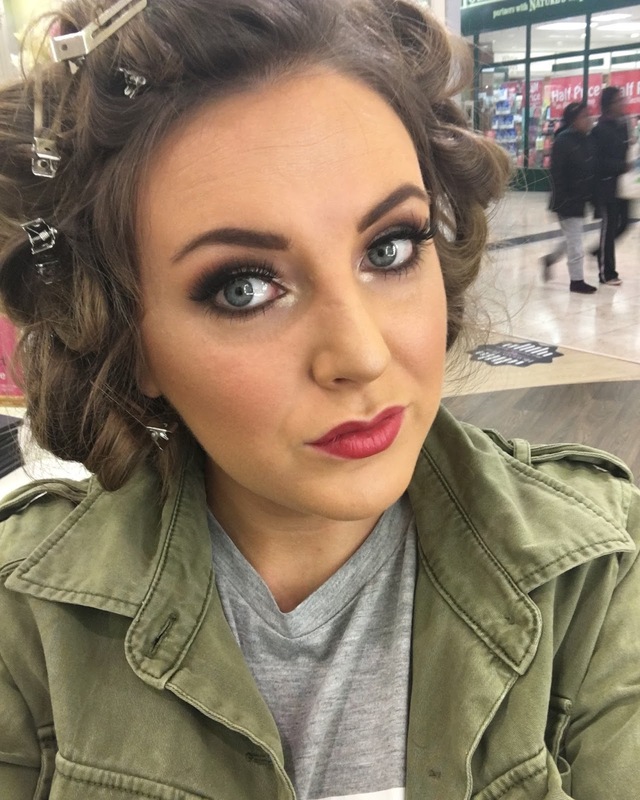 Overall I really loved trying out the Bellamianta tan and was so happy with the results. It has such a natural colour and wears really well. I will definitely be repurchasing this when my bottle eventually runs out and I’d definitely recommend getting the Bellamianta Luxury Tanning Mitt to help with the application. I’d love to hear what you think of this review, would you like to hear more? Let me now in the comments below! Don’t forget to follow me across all my social media my handle is makeitupmegan on everything! I’ve also recently started rambling on snapchat so feel free to add me on that too! Pingback: Recent Beauty Buys - Make it up Megan! 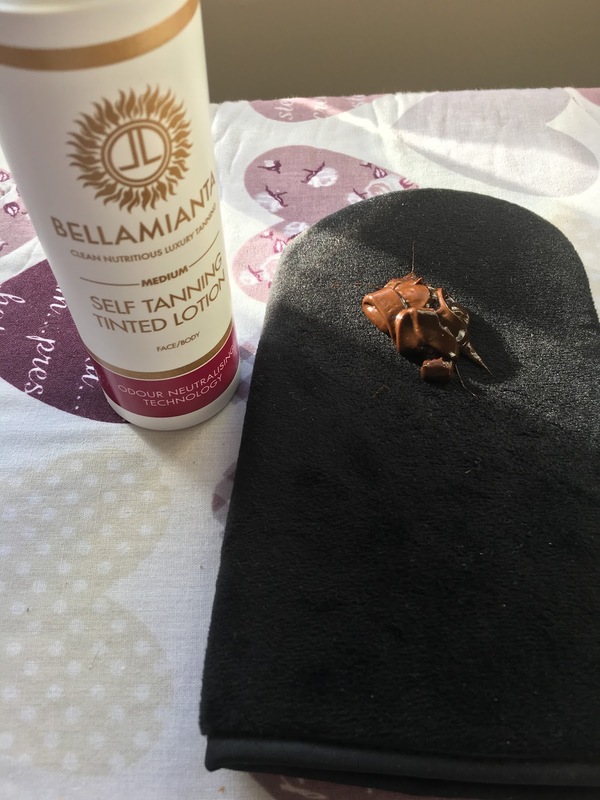 Great review of the Bellamianta tan, it’s great to get an insight into the development of the tan over a week to see it’s long-lasting qualities!